In these lessons, we will look at factoring by common factors and factoring of polynomials by grouping. 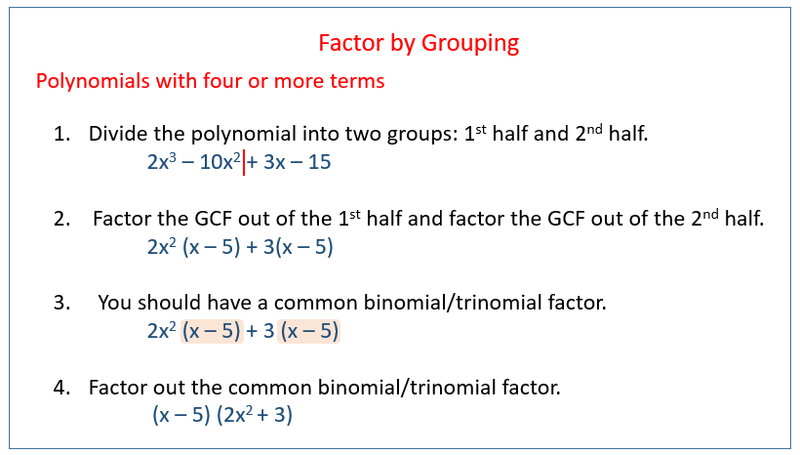 The following diagram shows the steps to factor a polynomial with four terms using grouping. Scroll down the page for examples and solutions. 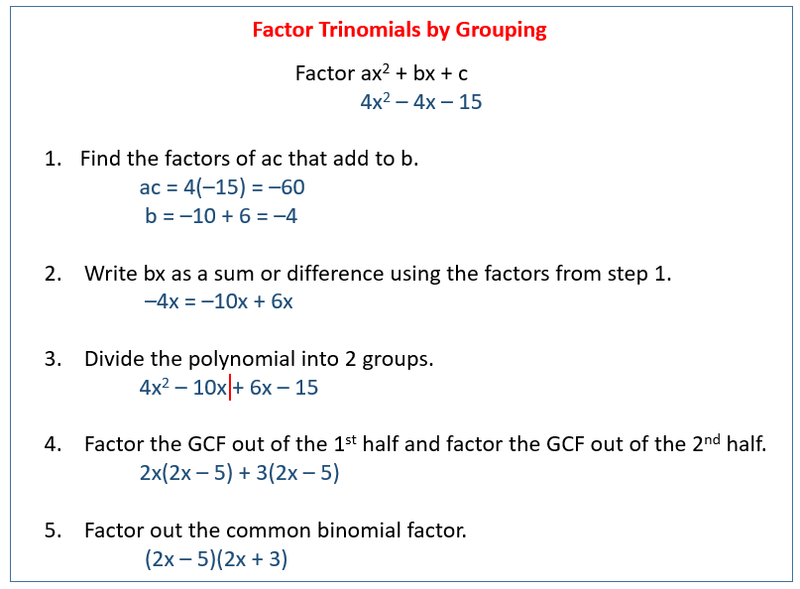 The following diagram shows the steps to factor a trinomial using grouping. Scroll down the page for examples and solutions. The first step in factorizing is to find and extract the GCF of all the terms. Factoring is a technique that is useful when trying to solve polynomial equations algebraically. We begin by looking for the Greatest Common Factor (GCF) of a polynomial expression. The GCF is the largest monomial that divides (is a factor of) each term of of the polynomial. The following video shows an example of simple factoring or factoring by common factors. Two examples of factoring out the greatest common factor to rewrite a polynomial expression. This video provides examples of how to factor polynomials that require factoring out the GCF as the first step. Then other methods are used to completely factor the polynomial. How to Factor by Grouping? 3 complete examples of solving quadratic equations using factoring by grouping are shown.